Always needing to nibble on something while studying? I’m here to help you satisfy your cravings without eating hundreds of unnecessary calories. Here are some recipes and ideas for healthier, lower calorie foods to eat during those long study hours. An easy way to spice up a simple food! Make a large batch to give yourself something to continuously nibble on while you’re studying, but be careful not to overload on chickpeas; while they are healthy for you, they are high in fat. 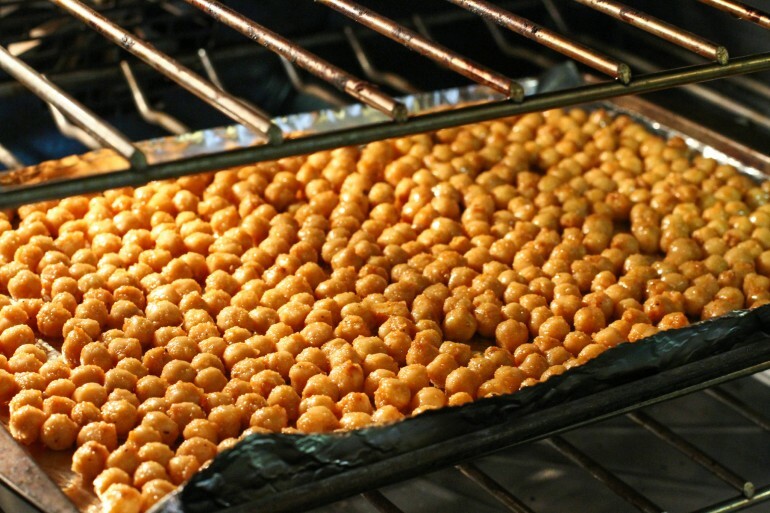 Learn how to roast chickpeas here, and spice them up with this recipe. Customize to your liking with any of your favorite seasonings. 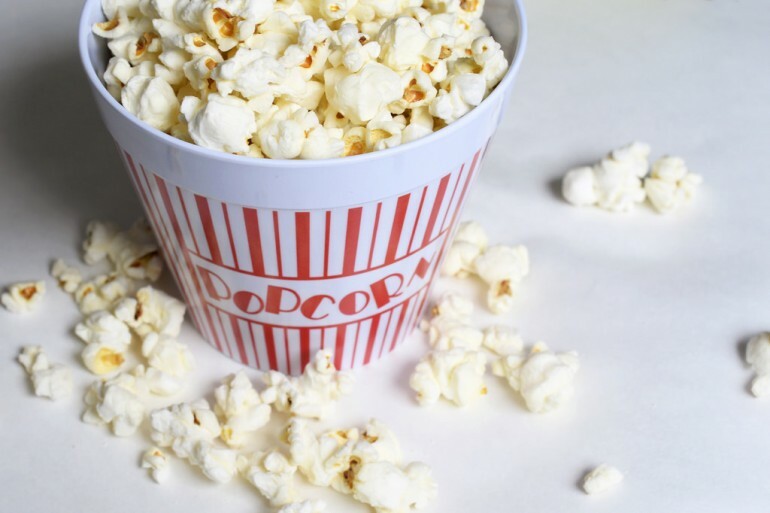 Popcorn can be a great low-calorie snack (31 calories for 1 cup plain) to nosh on as you struggle through a long night of homework. Use a hot air popper, or microwave your kernels for about 2 minutes (depends on each microwave) in a brown paper lunch bag. Be sure to fold the top of the bag over twice so it’s sealed. If you want to add a little more flavor, throw on a pinch of salt, some cheese or cinnamon and Splenda. You end up with a much healthier (yet still delicious!) version of the popcorn you always crave at the movies. If you’re craving something sweet while you study, this is a nutritious way to satisfy that craving. All it entails is finding your favorite kind of yogurt (low-sugar, if you’re staying on the health grind) and dipping blueberries in it. 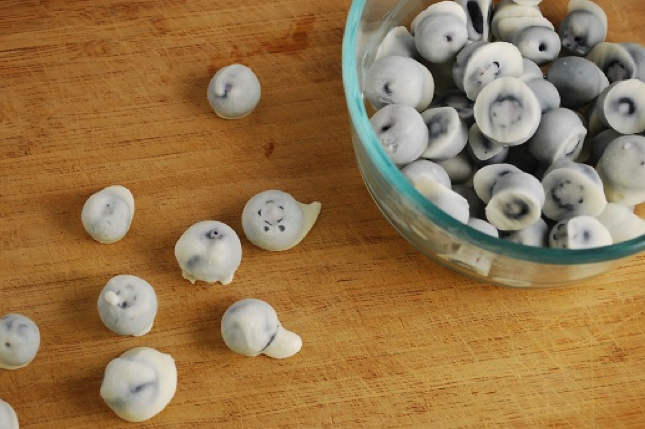 Put the blueberries on parchment paper, set them in your freezer and let them sit for a couple hours. Then they are ready to be eaten! This serves as a nourishing dessert option for those late night hours. This recipe is also wonderful with other fruits such as bananas. Continuing on with the frozen fruit trend, here is another easy way to create a snack to munch on. 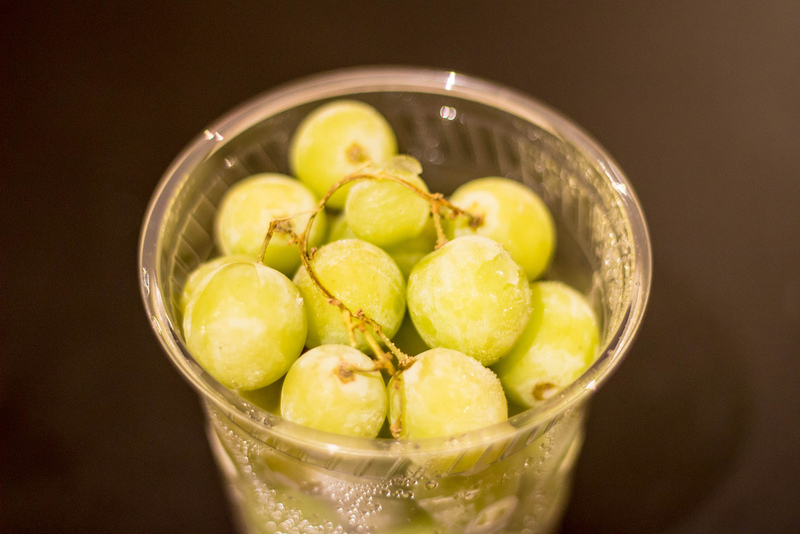 Just leave some grapes in the freezer overnight and voilà! Try freezing some of your other favorite fruits, or get fancy with this recipe for frozen vegan chocolate covered strawberries with a kick. Controlling your snacking while studying will always be a struggle, but study snacks don’t always have to be unhealthy. So try these delicious, healthy recipes, and go get your study on!